Meet the patriotic women who performed at this month’s controversial ‘Fields of Hope’ concert. On May 2, Beijingers flooded the Great Hall of the People to witness the “In Fields of Hope” concert. At center stage was 56 Flowers, an all-girl group that has become known for their “red songs,” glorifying socialism and Maoist thought. 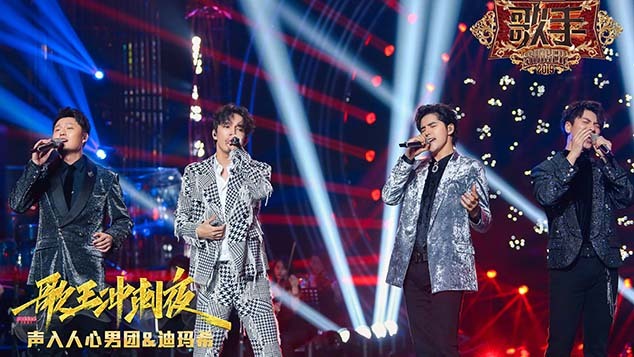 The concert received wide media attention this week because of its homages to the Cultural Revolution — a dark decade in Chinese history that the party has since distanced itself from. 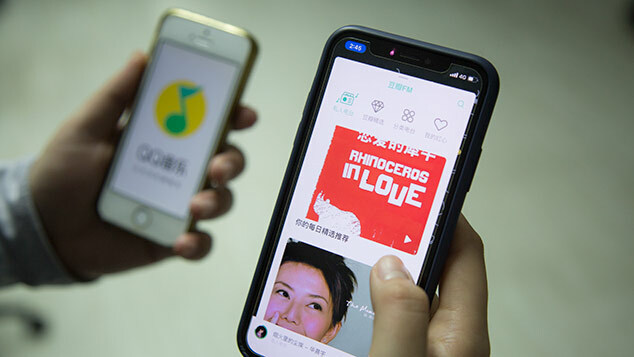 After the uproar, the China National Opera and Dance Drama Theater claimed that it had been scammed after it was discovered that one of the event’s co-sponsors, the propaganda department’s Socialist Core Values Publicity and Education Office, did not exist. The name “56 Flowers” derives from China’s 56 ethnic groups, each of which is represented by one of the 56 band members. 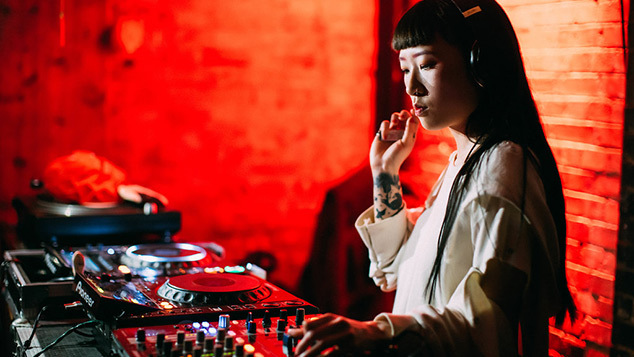 In an October 2015 profile of the band, NewsChina Magazine reported that the girls are all between the ages of 16 and 23, and that they live together in a dormitory in the Changping District of Beijing. Their daily routines consist of physical exercise — they jog every morning at 6 a.m. — and classes on dance, music, oral expression, culture, and ideology. 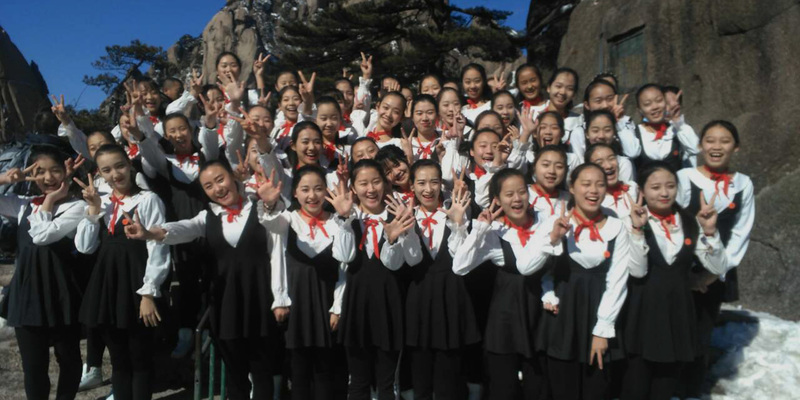 The girls have one day of rest per week and earn a monthly salary of 3,000 yuan ($460). 56 Flowers made their debut at the end of June 2015 at a CCTV-sponsored gala in Beijing, and their distinctive style — modest outfits, militaristic dance routines, and patriotic lyrics — has inspired a wide range of reactions on Chinese social media in the past year. Zeng Fan, chairman of the parent company of Beijing Quansheng Culture Ltd., which owns the trademark for the name “56 Flowers,” told Sixth Tone that representatives of the group are not taking phone calls from the media at this time. He stressed that the group’s May 2 performance did not violate any laws and had nothing to do with the Cultural Revolution. “It’s a sensitive time for us now,” Su added. As of Monday afternoon, the group’s official website was offline. With contributions from Li You.